Swedish Woodworking is the latest creation of mine. The idea to launch Swedish Woodworking has been in my head for a while. 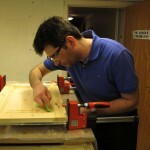 I wanted a place to collect and share some of my ideas and opinions related to woodworking. Instead of posting this in different threads on internet forums where I’m active I think it is better to collect everything at one single place. 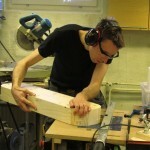 In the future it is possible that other fellow woodworkers will contribute with material. If you are interested to contribute, please drop me an email. All material on this site is copyright by it’s author. The following persons have contributed with contents to this site. I have always been interested in woodworking but when me and my wife finally bought a house I got room for a workshop. Still most of the workshop time is spent on projects for my house.